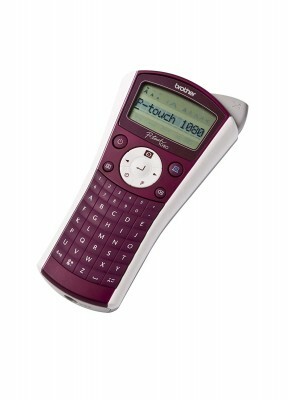 Brother's PT-1080 is an affordable hand-held labelling machine, perfect for home, school or in the office. Printing durable, long-lasting labels, thereâ€™s no end to the possibilities - from school books, lunch boxes, pencil cases and CD covers to food storage and filing cabinets - in fact you can label just about anything that matters. With flexible tape options and Deco Mode patterns, you can choose to be creative or produce stylish, professional results. And because Brother's P-Touch laminated labels have been tested to the extreme, they're designed to last.